Who doesn’t love Gina & Pat Neeley from the Food Network, they appeared to be the most loving couple on the face of the earth and what I loved most, was not only their ability to cook together with such synergy, but also the way Pat looked like he absolutely adored Gina; so it saddens me if the rumors of their split are true. 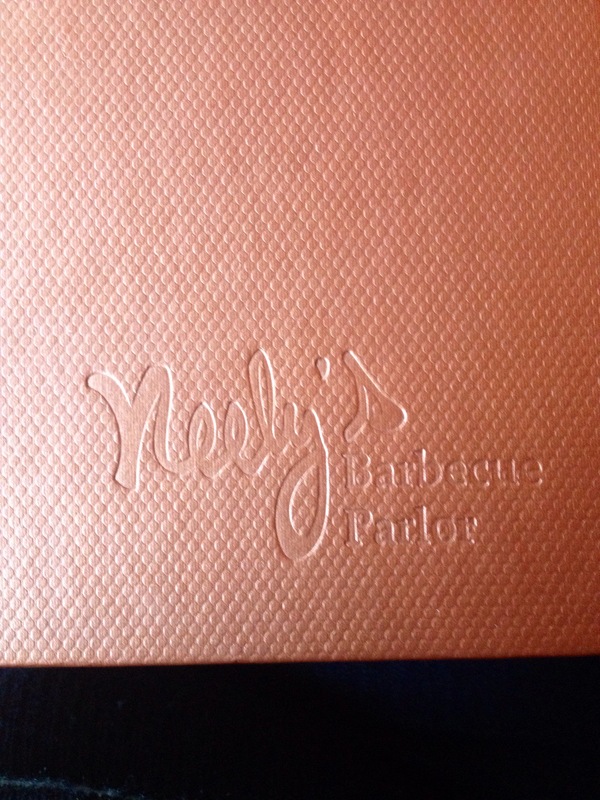 But I am glad to hear that they have made a decision to continue to run their Neeley’s BBQ Parlor in Manhattan, New York together. The excitement and anticipation I felt knowing that I would be eating BBQ at the Neeley’s made me think back on how Pat use to look at those ribs while he was cooking them, he would smile and look at those ribs longingly. I mean the look was so intense sometime I felt bad for Gina, I mean I agree that he adored her, but the look he gave those ribs, made me think “I don’t know if Gina can compete.” So whenever a man looks at his meat the way Pat looked at his, it is just not possible that you can go to their restaurant and try anything else but the ribs. Sure at Neeley’s BBQ Parlor they have chicken, and they even have seafood, but I wanted to feel that giddiness Pat displayed when looking at those ribs and the stimulation he felt when eating them. 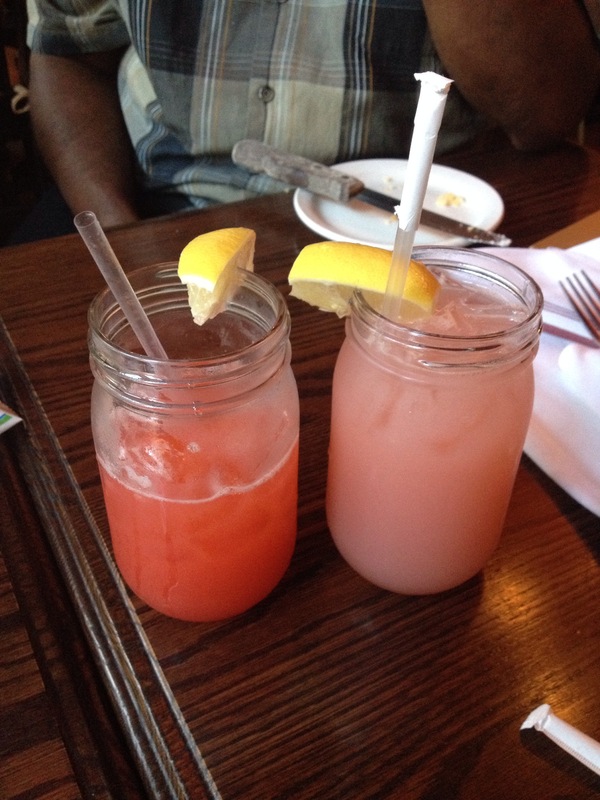 So first on deck was the strawberry lemonade in a mason jar, if a beverage in a mason jar doesn’t scream southern, I don’t know what does. Not only was the drink refreshing, but it was quite sweet as well, not so sweet that it made your lips pucker, your eyes squeeze shut, and your head shake in disbelief of the sweetness, it was simply perfect and reminded me of a spring day in the south. Then the appetizer of corn bread, yes you read that correctly, appetizer. Those warm squares where reminiscent of eating cake, which who doesn’t love eating cake. 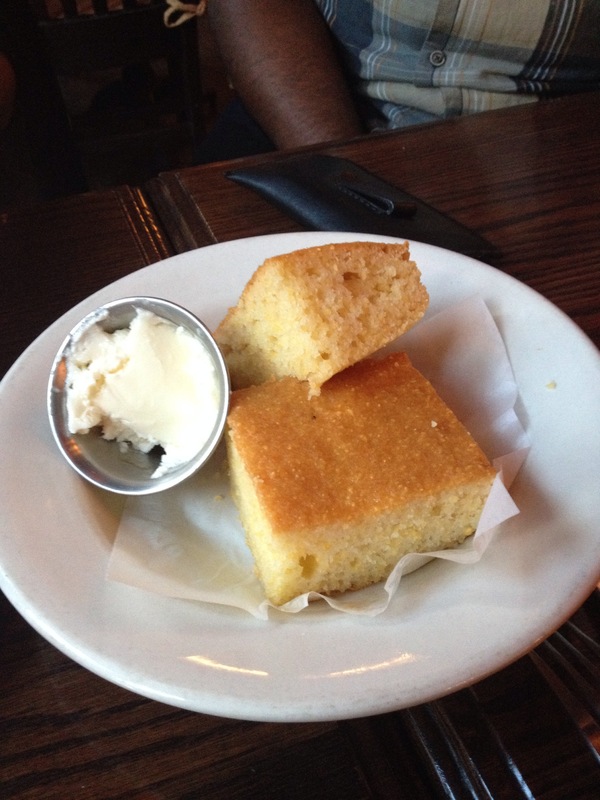 Now for me the best corn bread on the planet comes from Warm Daddy’s Philadelphia, but this corn bread is a pretty close second which I did not think was possible, but sure enough they nailed it. Next the main the course Memphis Baby Back Ribs, and to boot this dish was gluten free for all of you all sudden allergic to gluten eaters. The ribs were tender, not fall of the bone tender, but I also didn’t have to saw the meat with my knife, in my opinion it was just right. The sauce a little sweet, with a hit of tang, but sad to write the flavor of the actual rib did not generate in me that Pat Neeley type of giddiness. I mean it was a fair rib, it definitely satisfied my hunger, but it wasn’t a rib that I would relish over in the midnight hour or even come back and order again. I have always come from the school of thought that if your ribs are good they can stay alone without sauce, because the rib in itself packs such a huge punch, that the sauce is just a bonus; however these ribs were lack luster with the sauce atop so without the sauce, it would have just been plain pointless. Alongside the ribs was Mac and Cheese and I am certain that this mac and cheese had multiple cheeses in it, but they are not disclosing how many or what kinds of cheeses are in it, and that’s perfectly ok, the mystique made me enjoy it all the more. The noodles were perfectly cooked, they even topped the mac and cheese with some breadcrumbs; it was the creamiest and richest mac and cheese. 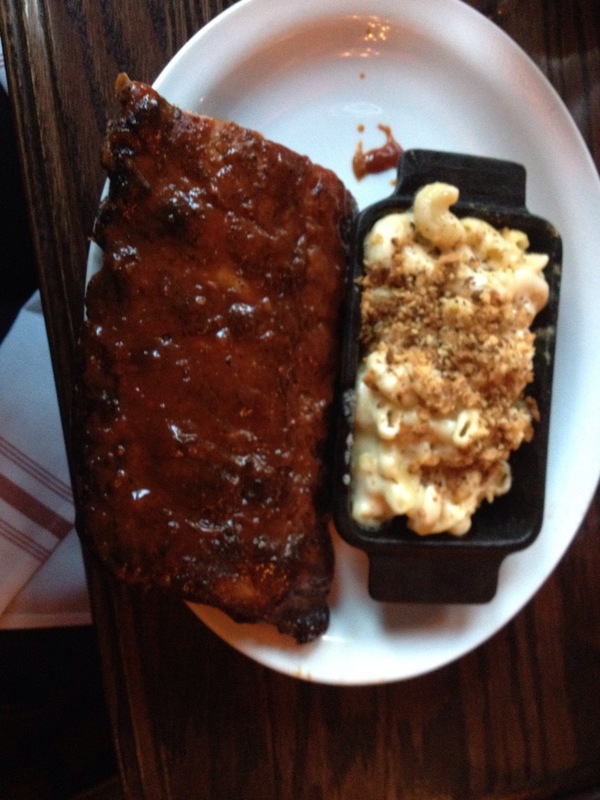 It was absolutely divine and kinda made me forget about the lack luster Memphis ribs. Now I must warn you the mac and cheese was so rich I had to go through a ritual which was…take a few bites, leave it alone, take a few bites and leave it alone, and repeat until the cast iron bake dish was almost empty. Normally I have a problem with foods that rich, but this richness lingered on your palate and made and imprint on your memory that said “eat again that was delicious” and so I did what any good food would do, I complied. Overall I enjoyed Neeley’s BBQ Parlor enough to return, definitely for the mac and cheese and maybe even the daring move to try the fried chicken or the shrimp n’ grits. I do realize that everyone’s palate is different and who is to say that if Pat Neeley personally made those ribs I would’ve had a completely different experience, or maybe the chef didn’t translate over his recipe that well, but nonetheless I am a fan of the persons Gina & Pat Neeley so I am gonna try to make myself a fan of their establishment…now that’s star power. Love the comparisons along with statements that make me almost taste the food while reading!!!!!! !